This week Barclays downgraded the high-grade bond market for the entire electric utility sector because “we believe that a confluence of declining cost trends in distributed solar photovoltaic (PV) power generation and residential-scale power storage is likely to disrupt the status quo.” While this is not the first statement about vulnerability of electric utilities to competition from new technology it is the most important to date. There has been growing tension between the electric utility industry and the solar industry – specifically the part of solar industry that is focused on distributed, or point of use, solar installations. This friction has really been a proxy for what is developing as a larger challenge to the utilities. New technologies are making generating, storing and managing electricity at the point of use much easier and much more economical. This technical evolution is occurring at the same time that overall electric demand growth has been stagnant for several years and rising infrastructure requirements are putting upward pressure on the price of delivered electricity. Those factors together mean that electric utilities are struggling with eroding demand and eroding profitability, and the best available option is to increase the price per unit of electricity, which only accelerates the economic competitiveness of the competing technology – and thus starting the “spiral”. A little over a year ago the Edison Electric Institute (which represents all investor owned utilities) put out a report detailing challenges to the industry and the need to adapt. The result has been some strategic advancement by some utilities and a more unified opposition to policy that supports distributed energy, particularly solar. The rhetoric around that fight has ebbed and flowed over the past year, and there had even been instances of groups from both sides looking for common ground. While the EEI acknowledgement of risks was important it pales in comparison to the Barclays’ downgrade. The downgrade is external capital looking at the utility business model, and seeing not just a small threat, but a serious, industry wide threat. Catalyzing what many utilities already saw as a threat will only add fuel to what was still at least a simmering discord. The direct impact of the threat of solar on utility borrowing costs makes the threat real, dangerous and costly. Expect to see renewed efforts by some utilities to frame solar and other point of use energy solutions as destabilizing and dangerous to the electric system. What residential-scale power storage technology are they referring to? I believe they are referring to Teslas big plan to double global lithium ion batteries in the next 4 years. http://www.economist.com/blogs/schumpeter/2014/03/teslas-gigafactory. This would make a huge dent in driving down the cost of energy storage, to the point where households can buy their own storage themselves. Lithium Ion batteries will not reach a competitive price point for commercial utility level storage for decades…if ever. Utilities deal with in mega and terrawatts on a daily basis, not mere kilowatts. The energy density necessary for large scale commercial battery applications is well beyond current known manufacturing capability and would also be well beyond the normal consumer’s ability to pay for it. Not to mention the expected life of the battery is 5 to 6 years if its properly maintained. PVs are only a partial solution to the issue in that you only have 14 hours maximum a day to produce enough energy to last for 24 hours (if you could afford to have adequate carryover storage capacity). The standard house has a demand between 8 and 15kw @ 120 volts. Without serious retrofits and energy efficiency upgrades to the nation’s existing housing inventory, PV technology will always be no more than a supplemental energy player needed for meeting real time consumption. Proactive electric utilities realize the limitations of the new technologies and are working to integrate and improve them for their advantages as incremental power sources that can be added to supplement base load profiles. The average house needs 2-3kW as an average (I myself have a 3500 SF house that averages just 1.2kW/h). Surges of up to 5kW (when multiple high-pull appliances come on at the same time) can be accommodated with simple relays to prioritize those demand spikes. Our company (TerraStar Energy) provides on-site solutions to convert waste to energy very affordably at scales below 1MW (and do not use gas or coal to do it). Our biogas and syngas plants provide base level power that solar can augment. The battery technology is already available. Tesla’s 70kW car battery can be placed in series to store the power a home will need at night or on cloudy days …. getting the price down with volume is a certain eventuality. So how many PV units and what area would one need to realistically power a 2-3kW home in the majority of this country, and what would that cost … that’s get to be $50K invest with battery, I totally confused here????? I see no real practical solution. We recently had a small PV system quoted for our home at $16,000 but prices have already come down since then. I also have an off grid cabin with a 900 amp hour battery bank (no grid). It cost $7,000 and they’re lead-acid. There are new battery technologies coming on line. Within two or three years there will be options. Just do google news searches on “battery technology” once a week or so. You’ll see. I reviewed best case scenario for solar for my home and that would be going off grid. It figured out to be about 2x more expensive than could justify. That was with a diy install, minimal battery pack, and greatly reducing power consumption. Also, in your quoted install price, per my cost reduction or ROI requirements…you would need to offset $160/month electric bill! But, your property taxes will go up, insurance will go up, roof problems, more expensive to re-roof, and labor to maintain would push that figure easily to $200/month. Lead acid battery will remain the preferred choice for home storage of electricity per cost. Just read a report that in foreseeable future, the lead acid battery will remain preferred battery of choice for all cars per micro hybrid requirements and auxiliary power. If ever regulators would ease up a bit and allow mechanism for micro grid connections to neighbors or neighborhood….that would propel cost efficient power and heat co-generation solutions to public. Solutions that would be very eco-friendly. It would be easy to maintain and setup. Same with coordinating energy consumption. Disruption would be minimal, no heavy handed gov’t regs required, no taxpayer expensive overhaul of grid required, and most importantly, citizens desire of increased freedom improved. The solution does lack deep pockets to energize the typical DC politicians whom continuously on the hunt for fame with hand out. It’s just the public that would benefit and they can easily be manipulated. Every year solar installations get cheaper and simpler, battery technology gets better and grid power gets more expensive. Any heavy user of electricity can easily justify a solar system. In my area that means an electric bill of $200 a month or more. I’m at $10-$20 a month, so I’ll be buying my grid power from a green energy coop that is now being set up in my county. There are ways and there are ways. Your probably in an exceptional zone for solar? My Michigan has poor solar energy. If you electric is $200/mo and the quoted price of $16k can do the job? Well, that should be o.k. investment. Your incredible low $10-$20 /month is not worth much concern either way. You do realize solar is also grid power, unless it’s rooftop and your consuming the power. Also, a person can’t really purchase green power. Meaning the grid’s power is just an accumulation of all generators such as coal, nuclear, hydro, etc. You’re just signing up to pay more on your utility bill in the jest of supporting green energy. Exactly like sending a contribution check in mail to green energy. We’ll since I actually installed a 4.5kW system, in Texas with good southern exposure, using additional load balance and high efficiency cell from Sharp … I can tell you this. I can buy power at less than $0.10 kW-h but even at that rate I can tell you this …. I saved about $50 month on average, even after tax credit and such we are talking 20+ years to pay for itself (if the cells last that long). And no way you can run A/C without grid power. As far as I’m concerned the advocates of PV housetops are dreaming as a practical matter. I did read up on the battery. It should do well within the coming popularity of mild hybrid car. Most cars will adapt this hybrid technology as a standard and benefit up to 20% improvement MPG. The cost is low and advantages high. Not needing heavy expensive batteries a big plus. Also, per improved engine technology, transmissions, and hybrid technology the IC auto is closer to battery car per emissions. It will depend on grid power makeup, but per the cost and inconvenience the battery car will lose favor. A similar IC car size with high MPG rating running on E85 should beat the battery car. I wouldn’t count on EPA ratings to inform you of the truth as they have many assumptions to favor their desire. One example they only count 15% of E85 benefit per assumption of only filling 15% of time with E85. Ok, how about assuming the battery car is fueled upon coal power and poor efficient grid? A 20% improvement in a car with stop/start technology will only occur for those cars that spend a LOT of time on a freeway going no nowhere. A more typical saving might be 1% or 2% of typical in-town driving. For those cars that don’t sit on freeways for extended periods and thus don’t need stop/start (most cars) the unneeded stop/start technology and weight will be a net negative in MPG. But who ever said feel good, fashionable technology saved any money or (for the eco-religious) carbon dioxide. They will likely excel in the emerging train locomotive hybrid technology and ePower tractor trailer conversions. Axion can handle massive amounts of regenerative current. Imagine the tremendous current generated by a braking train compared to a Prius. Li-ion end up burning up and melting if recharged too quickly and (if my memory serves me) when discharged too quickly. Li-ion batteries have to use a fair amount of their own power just to operate a cooling system to prevent them from burning up. Axion would also be the obvious choice for peak power load assistance reducing the need for peak power plants or, otherwise, peak requirements by regular plants. I use the word “obvious,” but we all know how misguided and “head-in-a-bubble” those in the fashion eco business can be. But the closer one looks at the Axion Battery the better it looks for certain very large markets. Keep watching though. I feel it will surprise. Look at the Axion Power battery. Li-ion is barely competitive now. If it weren’t for the average citizen subsidizing the rich to buy Teslas, Tesla would be out of business. Lithium batteries are used in transportation and in power tools because of their light weight but that comes with higher cost. Weight is irrelevant for residential. Why would anyone pay that premium to have a light weight house battery? The threat is severe in Michigan. My utility company has no incentive for home generation of power, yet is apocalyptic upon rate costs per EPA regs on coal plants. I already spend 18 cents / KWH on this COOP utility. This utility is very concerned of its future and has pivoted to expand it’s mission to demand easy fed money per a REA type incentive to hook up customers to high speed internet. The REA was a historical fed program back in New Deal days of deficit spending programs to solve the countries economics propelled Cooperatives to glory. Citizens were amazed of fed power that apparently transcended normal business concerns of cost. This Cooperative thinks they will soon have another such mission. A big problem for Michigan is low solar and wind energy. Also, our grid has much electrical power from coal. 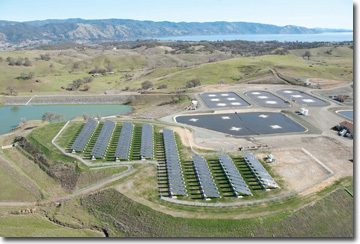 The best solution for my needs would be the CHP home power plant running on natural gas. It is strange why this solution hasn’t become popular? I have followed the ethanol head winds, the natural gas home refueling pump solution, and this CHP home generation of power developments. It’s a study on how terrible our present day business climate has been corrupted. A person over time will pick up on the subtle undermining or what is often called crony capitalism. I’m not a conspiracy type of guy, but have often heard of business folks talk of how to get along with other businesses and government agency. Now, I have a good understanding and have experienced local businesses losing mightily as they attempted to organize and stand up to unfair practices of regulators. Also, how some contractor’s learned of befriending permit and inspector employees. I’ve found similar tactics so important to gain access to fair treatment from court clerks and Judges. Local businessmen will harvest “goodwill” by supporting politics and community events. Also, very important not to be disruptive upon business practices by attempting some clever cost competitive advantage. Businesses usually attempt to coordinate price increases, prices, and advertising. Collusion is illegal, but almost impossible to prove. They prefer to compete upon marketing slogans, instead of price. Health care field is famous for all happy caring service…just don’t talk about or concern yourself with the bill. Education institutions work to minimize information to public, consumer influence, cost concerns, parental control, and quality. Insurance companies are famous for utilizing trade secrets, favorable regulations such as law practices. Banking highly coddled per political needs. Government agencies seem fearless upon hammering private citizens or small business, but tread lightly upon international corporations or the wealthy. So, if you have a tiny disruptive invention to greatly improve quality of life, with the potential to disrupt the status quo..you better find a friend with deep pockets as the knifes will all be pointed your direction. Government knifes the most destructive. Roof top solar is one such invention, that will have many a knife pointed their direction. Many paths to destroy the industry per regulation, inspection, safety concerns, taxation, codes, and utility concerns. I can think of expensive application and approval processes, certified equipment costs, certified and licensed union labor installers, high annual inspection costs, regulations that would require becoming an utility, demanding conformance to all utility regulations. So, boom ada bing the reports of cheap solar are false. This is not cost effective to disconnect from your utility. Also, D.C. politics may become alarmed of stiff competition to utility empowering political solutions and decide to pour a boatload of favorable regs, low taxation, and easy money their direction. But, solar may become so popular, politicians dare not mess with voting public. That would be enough to supply more than 100% of Michigan’s electricity demand. The utilization of wind turbine power is 30% typical and that would mean we would not be able to replace any power plants with wind power. Meaning power plants at best would be in stand by mode. Most of quality wind energy is small area of thumb peninsula and off shore. The NREAL claims 8% of land mass has potential for commercial wind power. Most info and reviews I’ve read have Michigan with low wind power. The wind potential calculations must be highly optimistic. The wind resource maps have little indication of high wind energy. Minnesota, Iowa, and Indiana appear well suited. With fossil fuel plants in stand by mode, that still means cleaner air. Though with improving prediction methods it could become possible to completely shut down some plants on certain days. I think their numbers are higher because wind turbines these days tend to be built at 100m instead of 80m and the nrel chart shows over 175,000 MW of wind potential at at least 30% capacity factor at 100m in the second chart at. So, let me rephrase, Michigan’s energy situation. We have low wind power as compared to high wind power states. Nonetheless we do have potential for theoretical wind energy to power the entire state if intermittent and undependable wind energy is available. Given for this condition we have unlimited capital for such accomplishment as the cost of hooking up grid to remote generation can be expensive. We wouldn’t be able to close any current power plants as were running at close to capacity and can’t count on wind energy to be readily available, i.e. during peak power demands of low wind energy seasons. But our current fleet of power generation can’t readily be used for peaking power plants, Nuclear 28% and coal 60%. We would have to swap out these for the typical cheaper low usage peaking natural gas generators that are less efficient and higher polluting. We would then scuttle our lowest cost producers of power, coal and nuclear, as were told wind production of power is a better. Michigan has low solar energy and my side of state the lowest. The fewest annual sunny days. We can afford to watch Hawaii solve problems when and if they convert their grid to solar as they have perfect opportunity and conditions to make it happen. If they can’t do it no body can. Also, Michigan can afford to watch Texas solve all the problems of powering the grid with solar and wind as they have perfect conditions as well. If they can’t do it, Michigan surely can’t. But, we do have some choice zones of high wind energy that can be interconnected to present grid. Were doing that at an affordable cost effective pace. Unless Barclays know something that nobody else does, economical solar PV power – that is, SPV at lifecycle costs competitive with retail electrical power from a utility, is NOT around the corner. To the best of my knowledge, the cost of storage is still a killer, no matter how cheap the panels become. They are pointing at a >75% decline in kw scale storage since 2009. Storage is still the expensive piece of the puzzle (and I think the real threat is a broader suite of technologies that incorporate better system management and demand response). Keep in mind that in the eyes of many only 2 years ago solar could only ever be an expensive play thing. And this is only one side of the coin – retail electric prices are going up, infrastructure demands are huge across most systems in the US. Forget lithium-air. It’s rather like nuclear fusion, forever 20 years away. The history of electrochemistry is about small, incremental progress rather than dramatic breakthroughs. I recently heard anecdotal evidence from a developer in Germany that put the combined cost of a large residential solar + Gildemeister CellCube flow battery system (with 20 year performance guarantee) at EUR0.15/kWh (0.08 for solar, 0.07 for storage). With the feed-in tariff of EUR0.25/kWh, and savings on retail grid power, the numbers stack up. Nano tech to the rescue. Carbon nano tubes will revolutionize battery tech within a couple of years. Nano-dots are already doing it for small batteries. The battery tech is happening. It’s not 20 years away. The utilities hate paying their retail price for customer excess solar electricity. They want to buy electricity at a wholesale price much less than their retail price. I don’t have a problem with this except that in some states they don’t pay anything, they just steal the electricity. I think they should be paid to maintain the grid. We’ll need it for another 50 years at least. Aside from the attack on the coal-fired (steam coal) energy plants, how will solar be able to replace the metallurgical coal used to smelt iron ore into the steel that goes into automobiles and their engines, airplanes, ships, steel reinforcement for buildings and bridges, washing machines, dryers, sewing machines for making the clothes we wear, and countless other steel products? Natural gas can replace coal in most industrial uses but it’s still a fossil fuel. It would be better to do away with that as well. It is possible to smelt metals with solar electric, it just takes big arrays. Go to youtube and search on induction smelting. Oh please. Where did you learn this Koch brothers crap? Do you feed at the trough of the Koch brothers like most of the spoon-fed right-wing nuts? Do you even know where your information comes from? You know what the main problem with fossil fuel for power is? You have to keep feeding fuel to it. You stop once your solar array is installed. Then you can enjoy the power for 50 years or more at which point upgrades will allow a much smaller array. Ah, Kock brothers the target du jour. It’s funny how one can listen to public funded media and receive the marching orders and talking point for politics of Left. I remember a analysis of media from such a show whereupon they attributed modern day political vitriol and ranker of political talk to echo chambers. Communication of like minds that support and confirm biases. They gave Fox News as an example. Yah, that tiny egress of business as usual the problem. Your very attractive point on enjoying 50 years of “free” energy is alluring. It reminds me of realtors sales talk of throwing rent money away per the easy task of purchasing a home and enjoying rent free. Later the homeowner suffers upon the commitment. The burden of payments, taxes, upkeep, insurance, liability, market, and lack of future use of valuable money. Meaning their will always be lucrative investments that are superior for your hard earned money. Do you think investing in such a trivial ROI is wise? Money is a most valuable resource. Those who say it can’t be done should shut up and get out of the way of the people who are doing it. This is an image of the little system I was working on today. It runs four 125 horsepower pumps and a massive UV sanitizer at a sewage treatment plant. It reduced their electric bill 97% year over year. It also provides all the more mundane electricity needs at the plant. What is the true total installed cost? Before depreciation, credits, incentives. Value of land, property tax load, maintenance, etc. What is the true wholesale grid power the project displaces? Meaning, retail price of power is not the benchmark unless the plant is self sufficient with power production. Receiving retail value for on site power generation is not fair to utility company, even if governments have such regulation. What is the ROI per these real numbers, meaning before the grants, awards, tax incentives, and the rest tax payer subsidies? We need real actual costs to calculate return on investment for real life comparisons. Just because we can do, doesn’t mean we should do. Successful businesses have to make decisions every day on best value of hard earned money investments. This the linchpin of growing economy and ability to produce jobs. Also, know that the time value of money is paramount problem to overcome. Meaning high cost investments producing meager cost savings or earnings are hopeless. It takes roughly ten years to pay off most residential systems these days, commercial systems less. That is without tax incentives. Faster with them, of course. The bigger the system the quicker the payoff. There is a reason financial institutions are bending over backwards to give money to solar companies. They pay their bills. Go back up to the top and read the article you’re commenting about. And to the misnamed “Forrest,” I never said anything about free power. That was the promise of the nuclear industry, remember? And speaking of those banks, how many of them are now willing to finance a nuclear power plant? Hint: zero. Another hint: it’s always been zero because they know how to do accounting. Nuclear problems a construct of national environmental politics much like shenanigans of XL pipeline. If ever nuclear become a necessity and national priority per need of low cost power and elimination of CO2 environmental problems…it would happen without delay. A couple weeks ago I checked the cost of good solar panels, control equipment and lead acid batteries for off grid power. Not cost effective. The cost would have to drop 1/2 more to make it worth while. Even with lower cost plans to minimize power needs and a DIY install. My utility is costly, $.18 KWH, and still not cost effective. But, you hinted the bigger systems have a quicker payback. My guess you have a state that requires utilities to pay retail or higher for entire solar energy production? You do know that will raise utility costs for everyone else? Rob Paul to pay Peter solution. Also, you must be in a high solar energy zone? Wind is supposed to be way more cost effective than solar especially P-cells. Read the editors column of a bio energy company owner whom was totally frustrated per U.S. politics of pushing wind and solar energy. He claimed wind power 6x higher than public is made aware of. Also, I read the simple pellet stove has 3x the environmental benefit as compared to the subsidized solar per home use. The most advanced solar system in U.S. opted to utilize thermal energy to steam power production as they devised system to store thermal heat for 24 hr production, thus evading the biggest headache of solar. Ivanpah power generation about 3x the cost of typical commercial power, requires large land use, fries birds, disrupts environment, disrupts planes, disrupts migratory birds and produces minimal power as compared to typical power plant. Are you attempting to convince me or yourself? Do embrace Alchemy and astrology? “When I was a child, I spake as a child, I understood as a child, I thought as a child: but when I became a man, I put away childish things.” You might consider this also. Alarmists are only presenting “the cure for which there is no disease”! No real news that’s not supportive of your views allowed, I see. Solar photovoltaic panels do not fry birds. Concentrating solar power (CSP) tower systems that use mirrors, not solar panels, to focus sunlight to over 1000F (over 500C) singe birds. Older CSP plants that don’t focus the sunlight that hot do not singe birds. We just have to not concentrate the light as much. Here’s one bird safe way to do solar thermal. Won’t generate the high temperatures of the tower system but certainly high enough to get the job done. Good enough for the US military. Wow! Solar is making a difference – But shouldn’t America’s utility industry be working hand-in-hand to help our solar industry prosper while building a sustainable national electric grid infrastructure? Sorry to say, they’re mostly pure, status quo capitalists; which means they don’t care about all the benefits that solar tech can bring into America’s future prosperity; energy security; economy; manufacturing & construction jobs; environment; or for that matter – the future health of our children. Often supporters of wind and solar energy will tout the general comment that wind and solar cost is decreasing and fossil fuel steadily increasing. Then the attribute this phenomena to utility rates increasing and urge all to act quickly to move to even more solar and wind power. Well, the truth is wind, solar, regulations, and loss per retiring cheap nuclear may be a bigger reason for utility rate increase. Same with forced retirements of a large percentage of coal plants. Coal plants that are probably less polluting than numerous newly constructed coal plants in China and India. Nuclear produced the cheapest electricity and for our sake were able to keep old plants running 3 times longer than once projected. While it is good to obsolete the most polluting of the coal plants, it’s not good to wholesale enact regs that rip the utility industry just because the CIC can make it happen. A local business owner whom was an early supporter of solar had installed some panels next to busy road (PR marketing) had been in news lately. He successfully sued the utility company to put up more solar as he had a PPA to sell the power to the utility and they did not want to utilize the same agreement, present day. This business owner spouted off that opponents of solar were clueless as he had run the numbers and the truth is solar is very capable and profitable, etc. The usual hype. To the credit of the newspaper they did finish the infomercial on advantages of solar with a comment that the utility years ago signed the purchase agreement for $.50 KWH cost. Yikes. State politics are being manipulated per wealthy citizen groups in California. They almost achieved changing changing our state constitution per requirement of changing our grid to 30% renewable power. Just an artificial constraint (handcuffs) to comply with. No logical, economical, and planned route; just an illogical legal demand to shoot ourselves in foot if not complying. Thanks, California for your concern of Michigan! Artificial (no market demand) regulations of federal and state governments are forcing utilities to purchase expensive renewable power. Choices that we the consumers have little say (no voice). Politics of change have figured out it is easy just to legislate, adjudicate, or utilize new found constitutional powers to make it happen as the public will not vote for increased cost. Elites know better and have superior thinking skills on where to spend our money, even if it’s to hurt your standard of living. You should be taking the bus anyways, (don’t you dare complain of their private jets). The big problem for citizens, suffering from enduring recession and anemic recovery, is the timing of this self inflicted cost as it will surely undermine our economic base. Energy is the base of our economic pyramid whereupon all other economic activity must overcome the weight. We had an advantage there once, and enjoyed employment and ensuing economic ability to spending more on quality of life, education, retirement, welfare, health care, social services, etc. Were currently spending grand kids wealth on debt and undermining cheap energy foundation. Could we be more destructive to wealth generation of our future? Many a environmentalist think this development is, also, good to lower pollution. Like, take the bus and live in an apartment building solutions. I’m sure grand kids won’t miss what they never had, unless they can teach themselves to read. Barclays probably reviewed the future ravages to be thrown upon public utilities that inflict much economic damage to their competitiveness. Barclays knows this will be a difficult sell to complaining consumers. They know citizens will not put up with such costs, instead they choose more natural gas solutions and homestead power generation. The industries built upon providing solutions for point of use generation of low cost power will be in for rapid growth. Capstone turbine may be one such company. Roof top solar another winner as well as CHP co-generation equipment. Time to dump your utility stocks. Patrick Watson thinks utility stocks may be sun setting per lower cost of point of use solar energy. The cost of roof top solar decreasing and the cost of grid power increasing, thanks to green power regulations. Regulations that force utilities to purchase expensive power and obsolete cheap power. Reminds me of the old joke about a farmer explaining how he trained his horse not to eat, but the darned thing died before he was finished. I think Barclays is simply making a statement from an investors point of view. Investment in utilities will dry up the further advanced alternative energy advances. Alternative energy at a fair price without excessive subsidy may be a good thing but not if it throws utilities under the bus before energy there is sufficient alternative energy that works for everyone. The power industry is awash in change and news reflecting the impetus this battle. It reminds me of petro companies refusal to invest in more refining capacity, even with demands from politics and consumers of the need. Business investors understood the data and future demands of fuel market would decrease. Same today with power plant construction and future profitability of utilities. Expensive nuclear and clean coal plants a big gamble. Distributive power generation predicted to become increasingly more common. The future certainly includes point of use solar, CHP natural gas, and fuel cell power generation. Utilization of micro grid will increase and stand alone power plant solutions will diminish need for expensive national grid infrastructure. This may not bode well for remote wind generation as well. However, it will still be standard for micro grids to be interconnected to utilize wind generation and power plant electricity at least in higher populated areas. This is the future of utilities to supply power to consumers whom have little solar capability i.e. no land or rooftop. College campus have utilized the micro grid concept for decades with lower cost and higher reliability as compared to tradition grid. They utilize the waste heat of power generation for space and water heating and to power cooling. The setup is tailored to specific needs and loads with much accuracy. They accomplished this with traditional fossil and bio fuel energy. Solar expected to make this solution more attractive per the cost saving and lower emissions. Present day, companies are forming and expanding to meet the needs to construct, power, and control micro grid solutions. Smart grid technology is targeted to manage distributive energy production, with some ability to manage load. Business is on the hunt to construct viable models to fill the gaps, solve problems, and provide service to this new customer. My cooperative utility is urging membership to contact EPA and comment on the Clean Power Act, a 1,600 page regulation that requires state power suppliers to reduce CO2.They are alarming membership that cost and reliability will suffer per the regulation. They want a “balanced” approach. I was listening to ICF International webinar on CHP. They claimed also, distributed generation of power, the largest threat to business models of utilities. They offered alternative business models embracing the alternative energy production. This was specifically on CHP. The large consumers of power will adapt CHP technology per the cost savings. The utility should not sabotage the trend, instead work to control power production per best use, provide maintenance, installation, tech help, etc. CHP will continue to gain popularity within university, health care, chemical plants, industry, hotels, and energy parks. The experience per Hurricane Sandy; the grid is more robust with distributive energy production. is one such manufacturer. UK utilize feed in tariffs to promote micro generation solutions. This boiler provides heat and power for typical household. UK grid efficiency is at 35% compared to CHP unit 90%. It has attractive benefit of dialing up power or trade off with increased heat if needed. Also, this technology supplies energy at peak demand. This makes so much sense, utilities need to evolve from dinosaur business model and get on the stick. Also, our political system needs to evolve and let citizens enjoy benefits of self sustainability vs always offering solutions of big gov’t control that they desire per crony capitalism benefits of politics.